Estate Agents As "Legal Advisers"? Harcourts real estate agent, Lester Drew, in a recent letter to the editor of Queensland’s Courier Mail criticised an earlier column in that newspaper about selling real estate. Drew pointed out in his letter (as published) that columnist Scott Pape was a financial advisor, was not a “registered member” of the Real Estate Institute of Queensland and was “not professionally qualified as deemed by the State Government to give any expert advice relating to sales to prospective property sellers.” Moreover, it appeared to Drew that Pape had no understanding of the stress many sellers experience when deciding to market their homes. 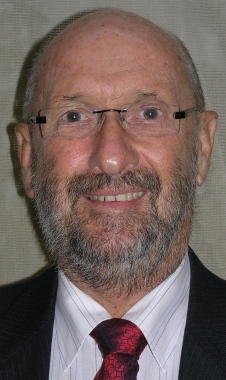 Drew then stated that “professional agents” were not only skilled in marketing but also were available “to give advice and provide assistance on many subjects ranging from presentation of the home to important detailed legal issues.” He was thus clearly asserting that Queensland’s estate agents, particularly REIQ members, were professionally qualified (with government endorsement) to give “expert” legal advice and assistance to seller clients. A real estate agent must present all reasonable offers to the owner so the agent can not pick and chose amongst the offers favoring one particular buyer. But just because a vendor has your offer and is giving it serious consideration does not mean other offers are not coming in simultaneously. Unfortunately for the buyer, this means that someone else can top your offer in the interim. One move to counter act these factors is to make your offer with a date of expiration. This could vastly aid your cause, because it gives a sense of the imperative and forces the vendor to make a decision. When making an offer you can also make it subject to various conditions. This favors the buyer, but, remember the more conditions you place on the sale, the less chances you have of your offer being accepted. Most importantly, offers are not legally binding until both the buyer and the seller have signed a contract note (or contract of sale), and they have been notified that the other party has accepted the offer. The contract must contain details of the property. This should always be double-checked and include price, deposit and settlement. While the seller is not under any obligation to accept your offer, its still remains the case that a written, unconditional offer with a deposit cheque attached can be very persuasive in helping you secure the purchase. If you are looking to buy a property feel free to phone me… for friendly assistance. Sellers and buyers alike, who deal with any of Harcourts Drews’ offices, can be assured of expert, professional and friendly legal advice and assistance. And to hell with conflicts of interests and fiduciary duties! But what really got me steamed up was this pair’s obvious ignorance of the fact that Queensland agents are expressly prohibited by law from giving legal advice to clients or customers. WELL MAY YOU SAY, GOD SAVE THE CONSUMER, FOR NOTHING WILL SAVE THEM FROM THE FOXES. [PRESENT COMPANY EXCLUDED] CERTAINLY NOT OFT OR REIQ. Very good points! If a client has a legal question or issue a Realtor should always advise them to CYA (contact your attorney!). Thanks for your feedback from the so-called Deep South of the US, Dan. It’s kind of ironic when my realtor-protective State is often called the Deep North. It obviously ain’t rocket science that legal advice should come from lawyers not legally unqualified realtors. The more significant, and disappointing, point here is that the taxpayer-funded regulator seems less-than-enthusiatic about proactively protecting consumers from ersatz attorneys. Tim, perhaps you or the authorities (for want of a better phrase) have a look at Part V Sections 52, 53A and others of the Trade Practices Act and the Fair Trading Act (Qld). I think they may be candidates. You have my complete approval, Lawrie, to pass this Blog article onto the ACCC and to the Queensland Office of Fair Trading. Please let us a report in due course on their responses. So I guess the problems buyers ,sellers and lawyers face are the same even continents apart. I always say ignorance of law is no excuse , hire a lawyer if you want the legal opinion .Realtors stop giving legal opinions.